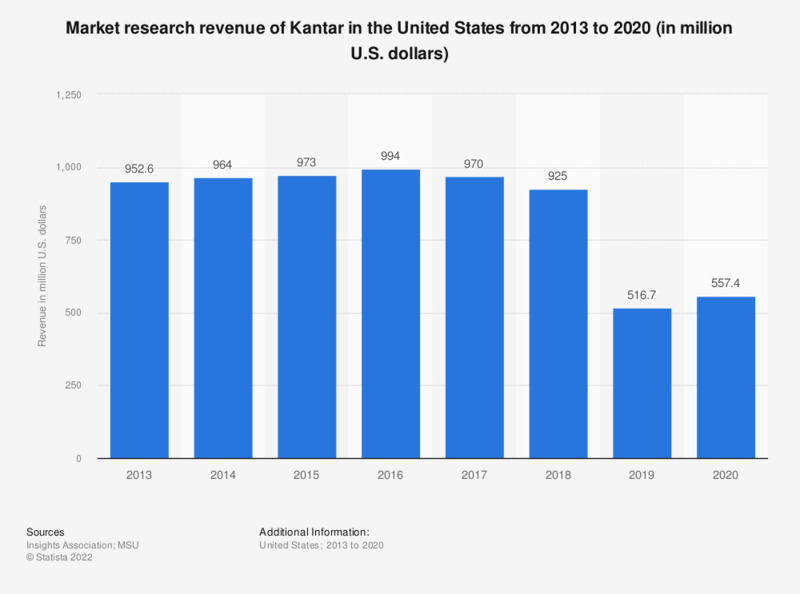 This statistic shows the research revenue of Kantar in the United States from 2013 to 2017. In 2017, the London-based market research company generated revenue of 970 million U.S. dollars in the United States, down from 994 million in 2016. Some or all figures are not made available by this company, so figures are based on research and estimation by the source. U.S. population: Do you use paper napkins?